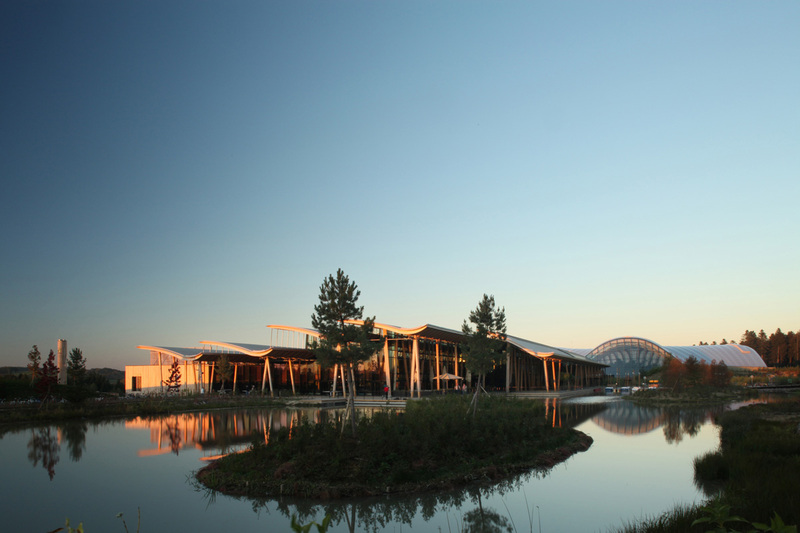 The 20,960m²-net usable space (SHON) project centres around a 5,000m² new generation water-games resort, Aquamundo, an adjoining food court, accessible via a greenery-rich commercial avenue, la Grande Serre, and logistical and technical areas. 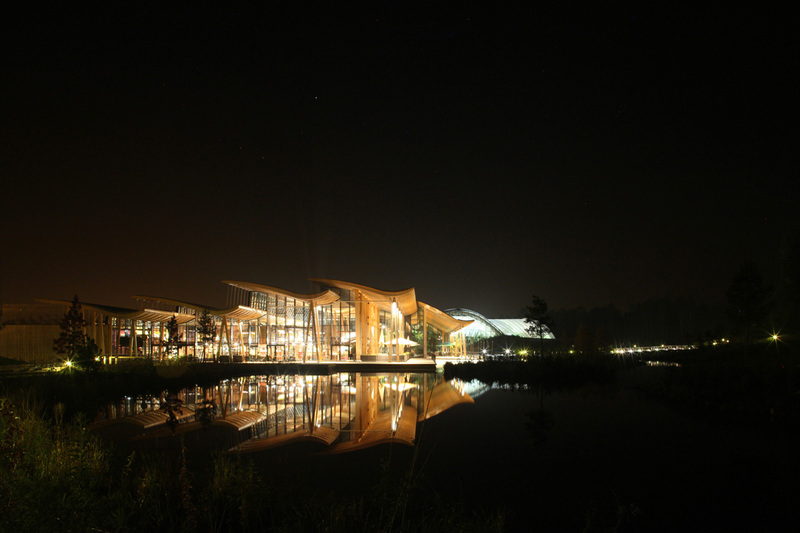 In May 2010 a fourth French Center Parcs resort was created in the Harcholins woods, close to Sarrebourg, after a provisional contract between Pierre & Vacances, Center Parcs France, the Moselle’s General Council and the Lorraine Regional Council. This project stands out through an architecture where wood predominates, both in the structural elements and the façade coverings. Located towards the lower part of the site, at the edge of a spruce and larch wood, the buildings fade into the vegetation. AQUAMUNDO, water, earth, air and light: the great Aquamundo hall hosts 5,000m² worth of water games and submersed beaches in a dense tropical vegetation. The project’s main challenge consists in inserting, within the landscape, the large superstructures that are necessary to the trees’ growth. The plan, in the shape of a trefoil cross, is covered with a set of centrings made of glued-laminated timber with stainless steel angle braces. 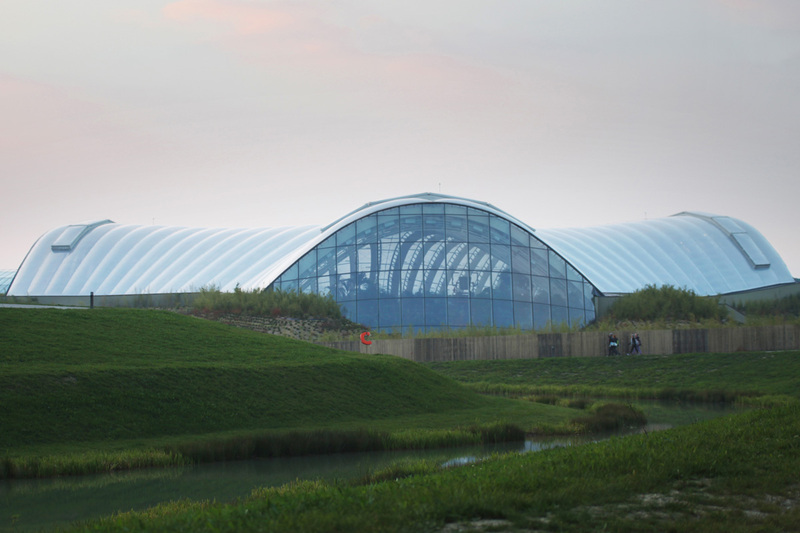 Its cover is an inflatable transparent multi-layered TEXLON-type membrane. Three vaults, spanning 35 metres and varying in height from 13 to 16 metres, shape this building. These superstructures rest upon a solid mineral base measuring 5 to 7 metres high, which encloses the swimming-pools. This base, which forms a green wall on the outside, also hosts the fluids necessary to the building’s energy-saving efficiency. 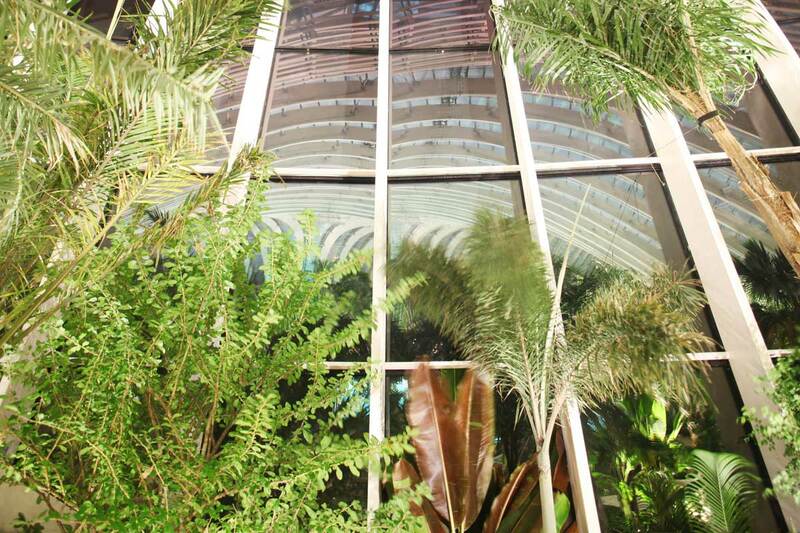 THE GREENHOUSE: it is first and foremost the resort’s winter garden. 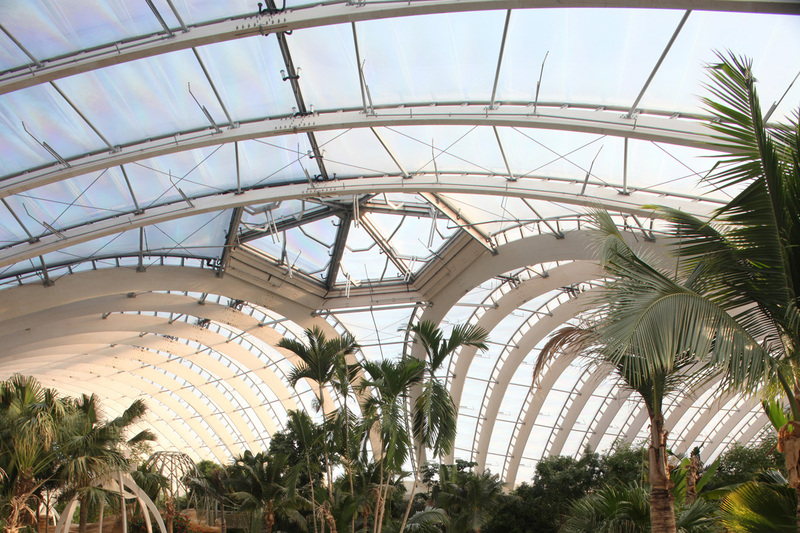 Its concept stems from the site’s history and from the inside-outside space status and tropical feel of the greenhouse. The Greenhouse is covered with a very light wood structure which rests upon a lattice of randomly inclined posts so as to imitate the rhythm of spruce and larch trunks swaying wildly during a storm which previously left its mark on this site. 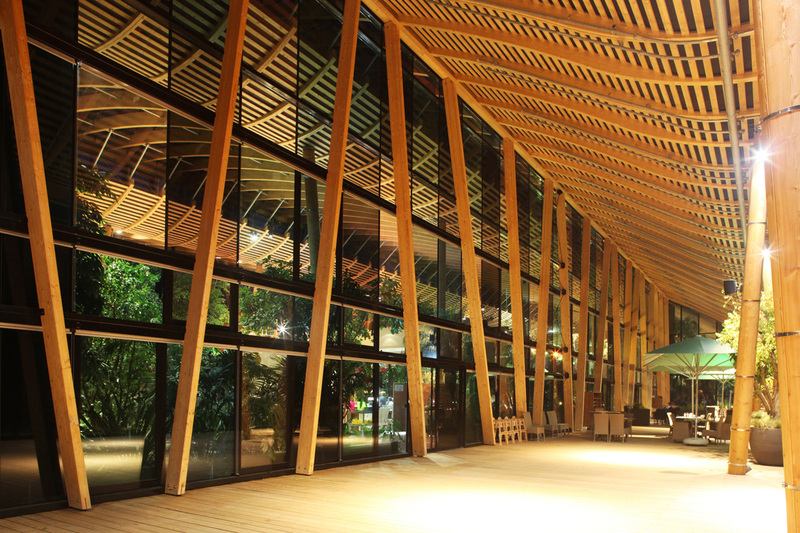 The very light glued-laminated timber structure allows to reach heights of 12m. 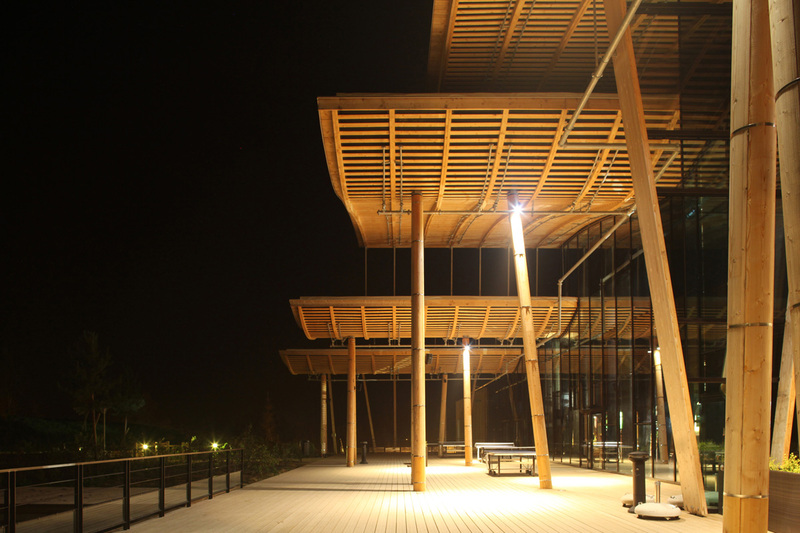 It is made of composite posts (steel pipes covered on their outside by a glued-laminated timber facing) planted according to a 7.5m by 10.0m grid, and of glued-laminated timber beams running lengthways along the building, under which glued-laminated trusses are suspended every 1.25m. The geometrical disposition of the roofing elements allows for the integration of North-facing sheds. This resort is a pilot project for the partnership with WWF-France and applies the official THPE (Very High Energy Efficiency) certification standards. 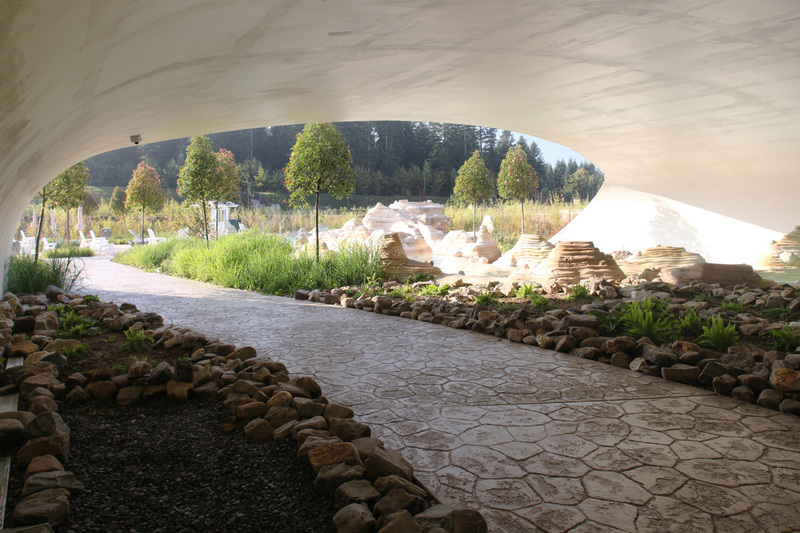 It was awarded the NF Bâtiments Tertiaires Démarches HQE certification (High Quality Environmental standard for Service industry buildings) and is included in Center Parcs’ own environmental management system which has been used and validated since 1999 by the international ISO 14001 certification. All efficiency requirements in terms of materials, energy, isolation and building site management have been reached. 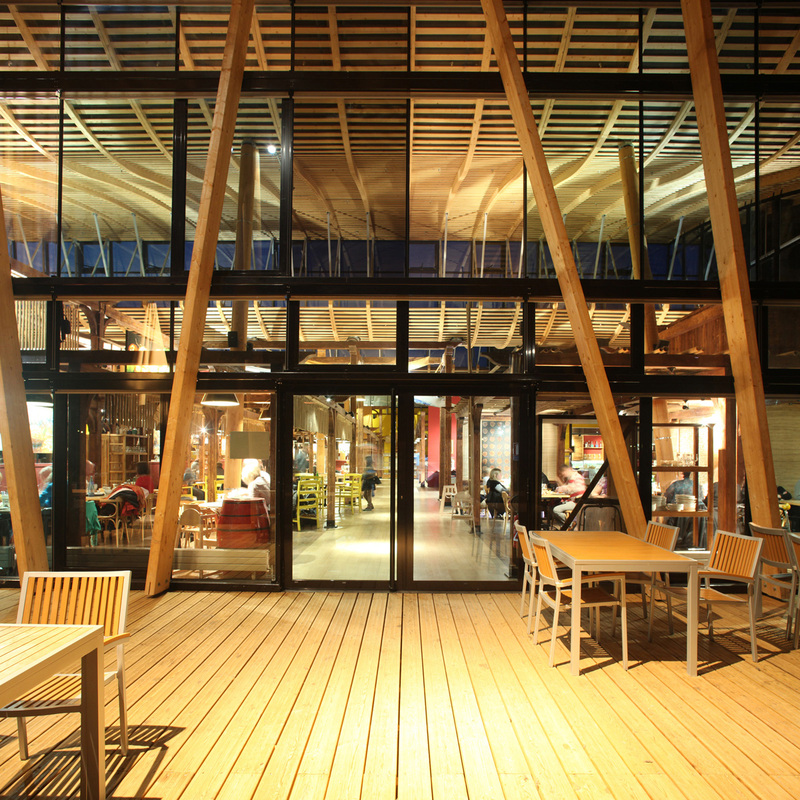 The 600m² wood-fuelled boiler room covers at least 90% of the building’s energy needs in terms of heating and hot water, and wood is supplied from the local area. The savings in CO2 therefore reach 2,900 tons/year. 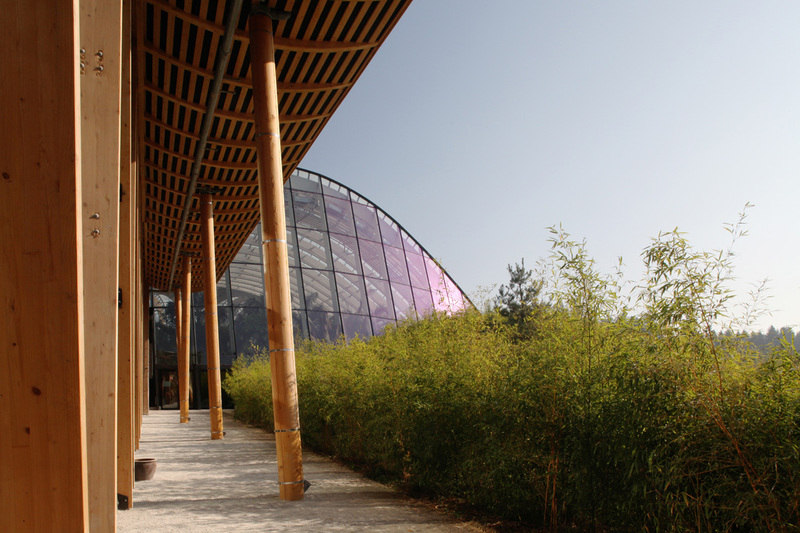 Natural ventilation is optimal and allows to save 250 MWh/year in electricity. The outside swimming pools’ water is stored in protective buffer canvasses during the night, making intensive re-heating unnecessary, which represents another annual saving of 1,200 MWh. Finally, the implementation of “reverse osmosis” allows to reuse 60% of filtered water, which amounts to 20,000 m³ per year.